Rick Cochran and Bobby Templin, who minister to college students at the Christian Student Center and the Collegedale Church of Christ, invited me to Troy recently. What a great ministry they have, and what great hospitality they showed me. The highlight of my trip was going to the Troy Trojans’ football game. The athletic director, Jeremy McClain, got us seats in the luxury area. 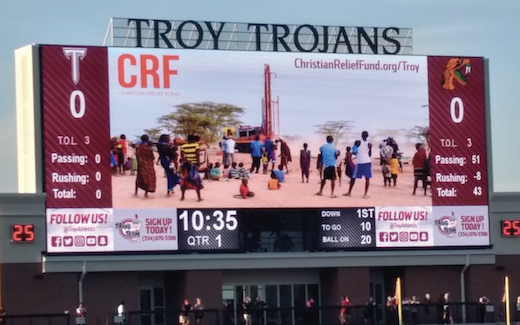 At the first timeout, I couldn’t believe it, but the public address system boomed, “We would like to welcome Milton Jones today!” And then they put on their big jumbo screen monitor the CRF logo and a picture of a water well we had drilled. If that wasn’t enough, the announcer thanked us for the partnership we have had with Troy. Campus ministries have drilled wells and sponsored kids. Fraternities and Sororities have drilled wells.  And even Dr. Jack Hawkins, the president, sponsors CRF children. After seeing Troy University on a lot of different levels, I thought — “This is what a university should be!” Thanks, Troy! Oh and they also won the game 59-7.